Are you the lucky owner of a new home but need help moving in? Then moving companies are the perfect solution. On this page, you will find everything you need to know about employing the services of a moving company; this includes costs, duties, and moving tips. The cost of hiring a moving company is based on many components. The total amount of items, access to your properties, and the distance travelled are some of these factors. The price also changes depending on added services offered by companies. The table below shows the average price for moving companies in a long distance move greater than 50 miles. 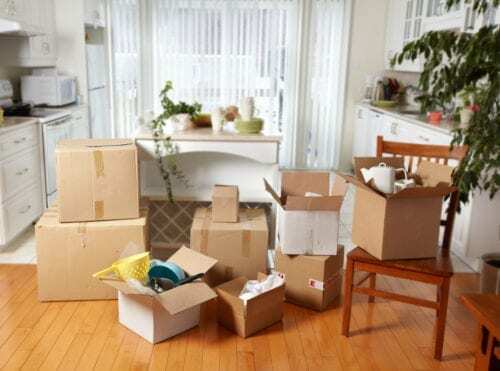 You may be unable to move into your new home straightaway for some reason or need temporary space for your items while you sort out your house. In any case, there is storage available to keep your belongings in a safe, secure location. Moving companies often have large storage facilities that can house your prized possessions. Your move will be quick and efficient. A big move and all that it involves is incredibly stressful. The professional movers at your service will handle everything to make your move as simple as possible. Rather than asking your friends and family to assist, which will inevitably take much more time, a moving company lets you focus on other important tasks. Moving companies are trained and properly equipped. Compared to DIY removals, movers significantly reduce total transport time since their vehicles and labour will only take one trip. The quicker you move into your house, the sooner you can begin to make it your own home and enjoy this significant life moment. Movers improve safety. Probably the most important thing on your mind about the move is whether or not your belongings will arrive at your new home safely. Your items are covered by the extensive insurance plan that many companies offer, as they incur the risks. Additionally, the chances of injury are greatly reduced since the movers possess the knowledge and awareness that only years of experience can bring. With all preventive measures taken care of, moving companies give you peace of mind.